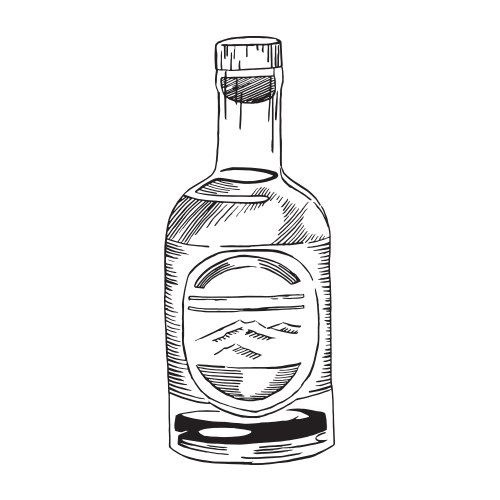 Dark Island Spirits is designed as a testbed to blend old school distillation processes with creative flavoring infusions and revolutionary maturation technologies. Although they lack the heritage of your great great grandpappy's distillery, their commitment to service and quality makes every visitor feel like family. Dark Island Spirits’ product offerings attempt to showcase the wonderfully rich and diverse flavors of New York-based agricultural products - all of their spirits are distilled from New York fruits and grains. You won't believe what music tastes like. Soft Wheat Whiskey blended with Distilled Hard Apple Cider. Musically Matured (tm) to Classic Hard Rock in Charred American Oak. Removed after a minimum of one year, filtered through Canadian Maple Charcoal, and blended with Pure Maple Syrup and Honey. 100% Soft Wheat Whiskey Musically Matured (tm) in New Charred American Oak to Classic Christmas Carols. 3 grain bourbon, Corn/Wheat/Barley, Musically Matured (tm) to Rhythm & Blues in New Charred American Oak. Soft Wheat Whiskey Musically matured (tm) to Classic Christmas Carols in New Charred American Oak, then blended with New York Maple Syrup.